Low cost series for continuous or intermittent duty. Multiple outlet options eliminate the need for manifolds. Integrated rubber feet reduce vibration and keep noise levels minimal. 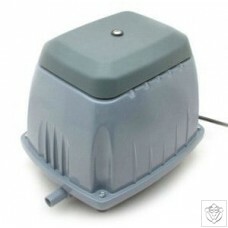 Ideal for single or multi pot hydroponics systems or small tanks. 1.8W power consumption. Low cost series for continuous or intermittent duty. Multiple outlet options eliminate the need for manifolds. 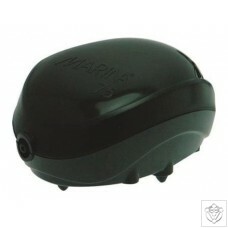 Integrated rubber feet reduce vibration and keep noise levels minimal. 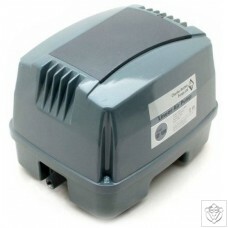 Ideal for single or multi port hydroponics systems or small tanks. 2W power consumption. Low cost series for continuous or intermittent duty. Multiple outlet options eliminate the need for manifolds. Integrated rubber feet reduce vibration and keep noise levels minimal. 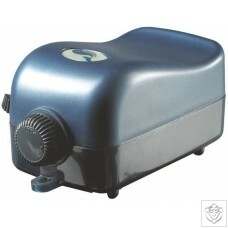 Ideal for single or multi pot hydroponics systems or small tanks. 4W power consumption. Low cost series for continuous or intermittent duty. Multiple outlet options eliminate the need for manifolds. Integrated rubber feet reduce vibration and keep noise levels minimal. 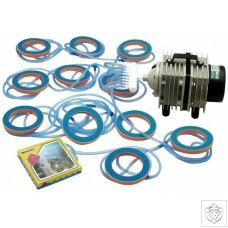 Ideal for single or multi pot hydroponics systems or small tanks. 8W power consumption. Low cost series for continuous or intermittent duty. Multiple outlet options eliminate the need for manifolds. 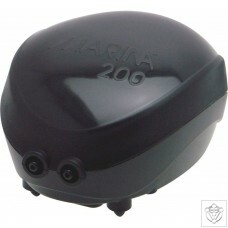 Integrated rubber feet reduce vibration and keep noise levels minimal. 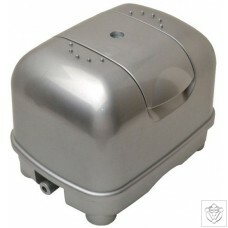 Ideal for single or multi pot hydroponics systems or small tanks. 25W power consumption. High efficiency oil free design for contamination free pumping. 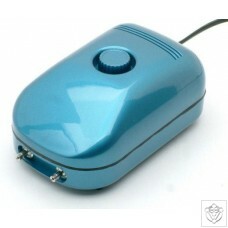 Compact ergonomic casing with variable flow control. Multiple outlet options eliminate the need for manifolds. Integrated rubber feet reduce vibration and keep noise levels minimal. Simple and low cost servicing. Features an integral built in flow control. 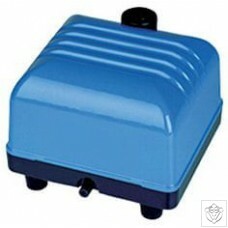 High efficiency oil free design for contamination free pumping. 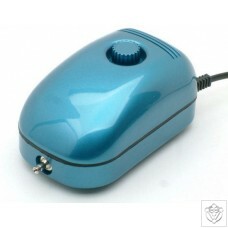 Compact ergonomic casing with variable flow control. Multiple outlet options eliminate the need for manifolds. Integrated rubber feet reduce vibration and keep noise levels minimal. Simple and low cost servicing. The pump has 4 outlets with 2 l/min from each outlet. It also has an integral built in flow control. 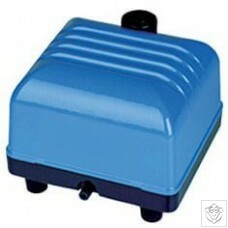 High efficiency oil free design for contamination free pumping. 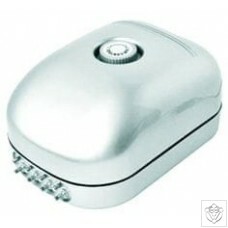 Compact ergonomic casing with variable flow control. Multiple outlet options eliminate the need for manifolds. Integrated rubber feet reduce vibration and keep noise levels minimal. Simple and low cost servicing. The pump has 6 outlets with 2.3 l/min from each outlet. It also has an integral flow control. High efficiency oil free design for contamination free pumping. Exceptionally low power consumption from just 2W. 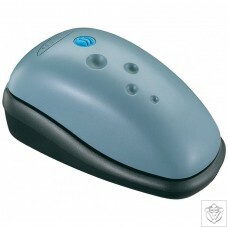 Compact ergonomic casing with variable flow control. Multiple outlet options eliminate the need for manifolds. Integrated rubber feet reduce vibration and keep noise levels minimal. Simple and low cost servicing. The Pump has 8 outlets with 2 l/min from each outlet. It also has an integral variable flow control. Super silent with multi-level muffler. The pump has 4 outlets with 2 l/min from each outlet. It also has an integral built in flow control. Super silent with multi-level muffler. Pump has two outlets with 3.6 l/min from each outlet. 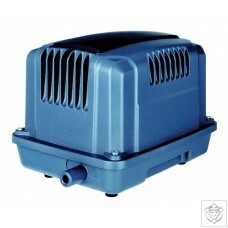 The pump also includes an integral variable flow control. Super silent with multi-level muffler. The pump has 6 outlets with 2.3 l/min from each outlet. It also has an integral flow control. Super silent with multi-level muffler. The pump has 8 outlets with 2 l/min from each outlet. 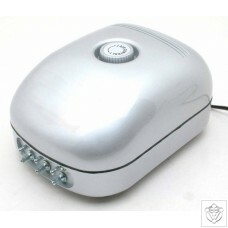 It also has an integral variable flow control. 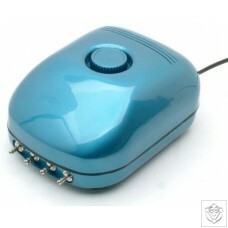 Oil free design provides contamination free air. 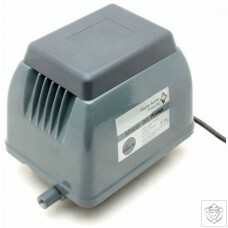 Designed to run several air stones from a single pump. Robust alloy casing absorbs noise for whisper quiet operation. Ideal for inside or outdoor use. Exceptionally low power consumption from only 10W. Suited to both intermittent and continuous duty use. Oil free design ensures contamination free pumping. 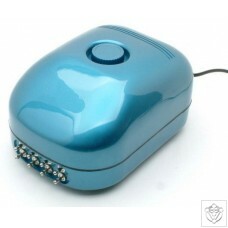 Ergonomic waterproof casing. 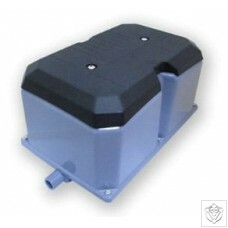 Double dampening system and anti vibration feet ensure low noise levels. Supplied complete with manifold to run several systems from the same pump. 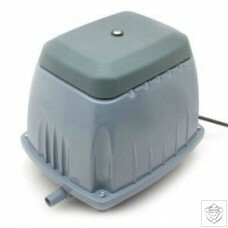 Application ideas include aeration for nutrients, compost tea brewers and bubble features. 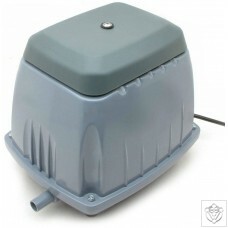 As supplied with the GHE WaterFarms and AquaFarms - this single outlet pump produces 60 litres of air per hour. 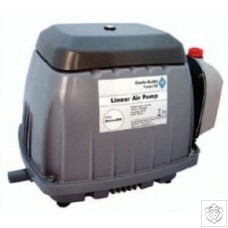 This double outlet pump produces 90 litres of air per hour per outlet. The sleek design houses Rena's proven design that will not "creep" during operation. Green drive technology - energy efficient motors low power consumption. Specially formulated diaphragm material for extended life. Due to no wearing parts no reduction in performance. Robust and compact construction - weatherproof. Easy to service with competitively priced spares kit. Suited to intermittent or continuous duty applications. 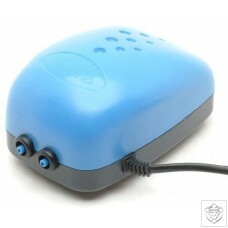 Whisper quiet operation as low as 35dB. 25W power consumption. 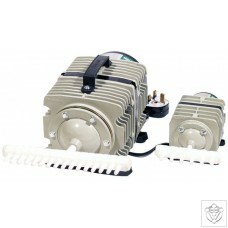 Green drive technology - energy efficient motors low power consumption. Specially formulated diaphragm material for extended life. Due to no wearing parts no reduction in performance. Robust and compact construction - weatherproof. Easy to service with competitively priced spares kit. Suited to intermittent or continuous duty applications. 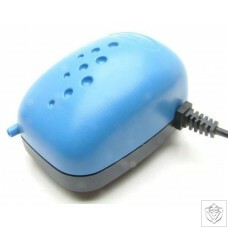 Whisper quiet operation as low as 35dB. 30W power consumption. Green drive technology - energy efficient motors low power consumption. Specially formulated diaphragm material for extended life. Due to no wearing parts no reduction in performance. Robust and compact construction - weatherproof. Easy to service with competitively priced spares kit. Suited to intermittent or continuous duty applications. 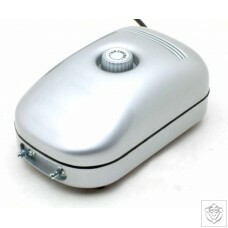 Whisper quiet operation as low as 35dB. 55W power consumption. Green drive technology - energy efficient motors low power consumption. Specially formulated diaphragm material for extended life. Due to no wearing parts no reduction in performance. Robust and compact construction - weatherproof. Easy to service with competitively priced spares kit. Suited to intermittent or continuous duty applications. 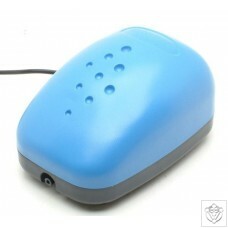 Whisper quiet operation as low as 35dB. 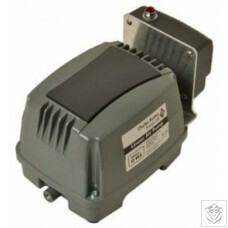 Green drive technology - energy efficient motors low power consumption. Specially formulated diaphragm material for extended life. Due to no wearing parts no reduction in performance. Robust and compact construction - weatherproof. Easy to service with competitively priced spares kit. Suited to intermittent or continuous duty applications. 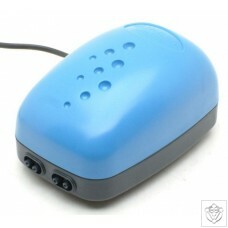 Whisper quiet operation as low as 35dB. 160W power consumption. Specially formulated diaphragm material for extended life. No reduction on performance due to no wearing parts. Robust and compact construction - weatherproof. Easy to service with competitively priced spares kit. Suited to intermittent or continuous duty applications. 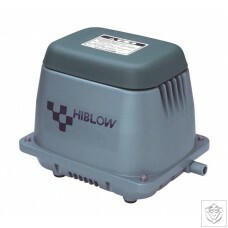 Ideal replacement to rotary vane pumps or small side channel blowers. 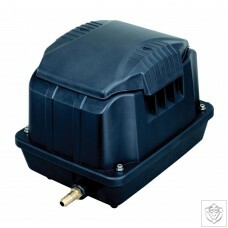 Eliminates the need for multiple pumps on large tank installs. UL and CE approved. The premium brand without the premium pricing. Green Drive Technology - energy efficient motors that don't lose performance. 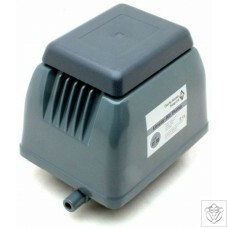 Whisper quiet operation - quietest linear pump in its class. Clever safety trip - stops the pump in event of a diaphragm failure avoiding damage to other parts. Extended life service - for both intermittent or continuous duty applications. 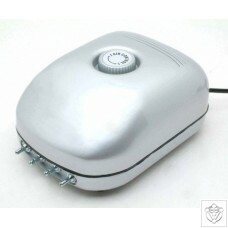 Multi year warranty - CE and UL approved. 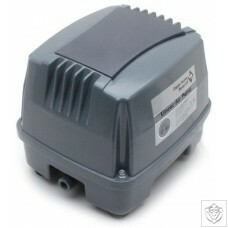 Enviro air pump with built in alarm which detects low pressure in the airline. 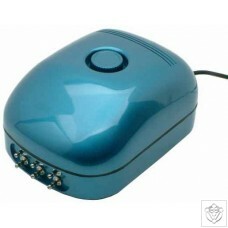 Integral high sounding buzzer and bright LED warning signals. 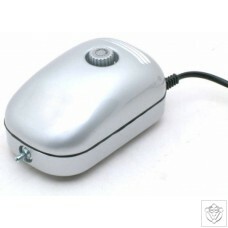 Also available with output wire for fitment to an external alarm panel. 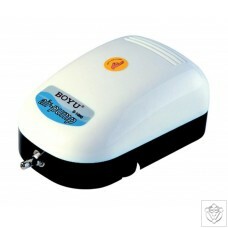 Robust, compact construction which is suitable for intermittent or continuous duty. Meets legislation avoiding environmental hazards and fines. Equipped with thermal overload protection. CE and UL approved for outdoor use. 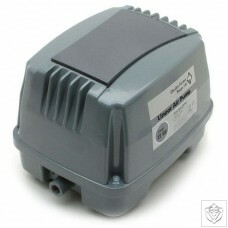 If you're looking for Air Stones or other Aeration accessories please see our Accessories Section.